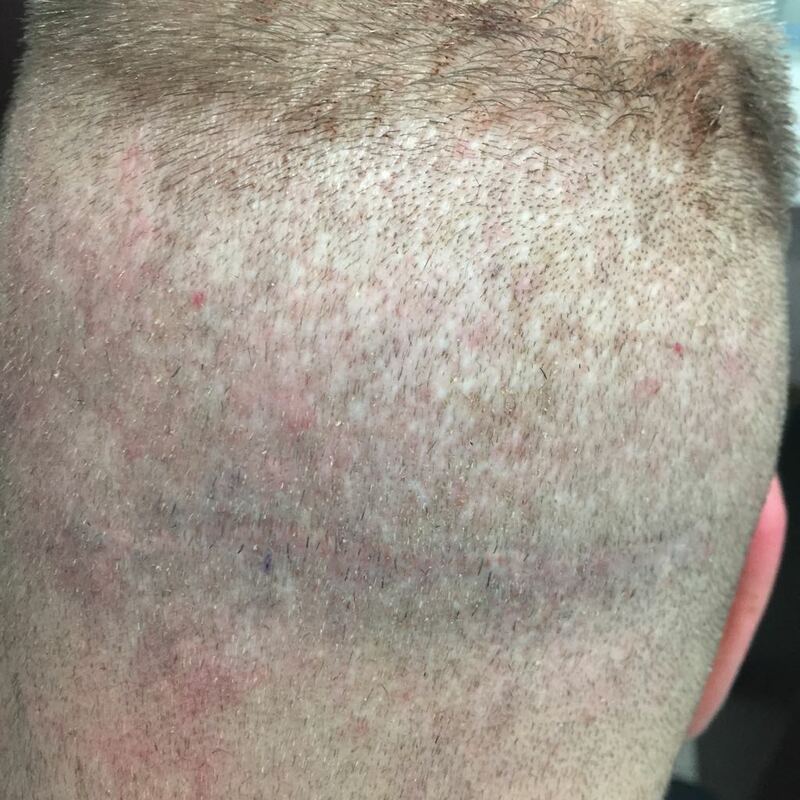 Hair Transplant Donor Scars Horror - GUESS! Who did this? Yikes, are all 8 cases from the same doctor? No HMorHT, this is just the tip of the iceberg. These are some of the “so called” plastic surgeons and dermatologists who believe hair transplant can be learnt in few day workshop or by watching youtube videos. That is the reason for increasing bad publicity for the good HT doctors. This is tragic! 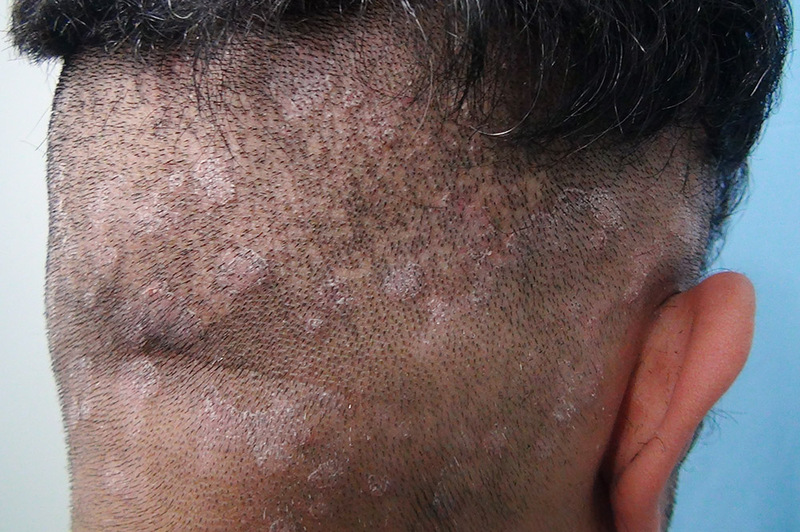 These are photos of Dr. Arvind’s repair patients? 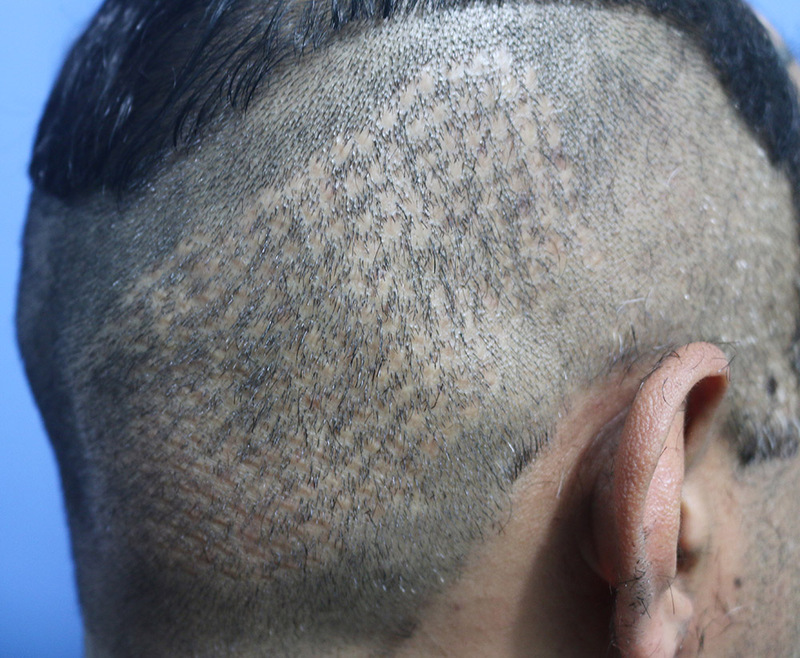 Dr Arvind who created these scars ? Doctor or clinic name? Dr. Arvind, have you successfully treated these patients? What do their donors look like now? So who’s responsible for these results? Did these people all had work done in India or Turkish clinics? If you see the patient details, they have been operated by doctors from USA, Europe and various parts of the world. Good, as well as bad HT doctors abound in all nations. Now, if a doctor wants to spend thousands of dollar in a 2-day workshop with hardly any proper training, he/she has a better alternative. If anyone wants to ask about the hair transplant kit, its instruments, and e-observership, he/she can email us at contact@fusehair.com, fusehair1@gmail.com or call toll free at 1800112343. We can put grafts on eyebrow scars. The best-suited grafts to be used are either nape grafts or armpit or legs as they matched the characteristics in terms of caliber and diameter. 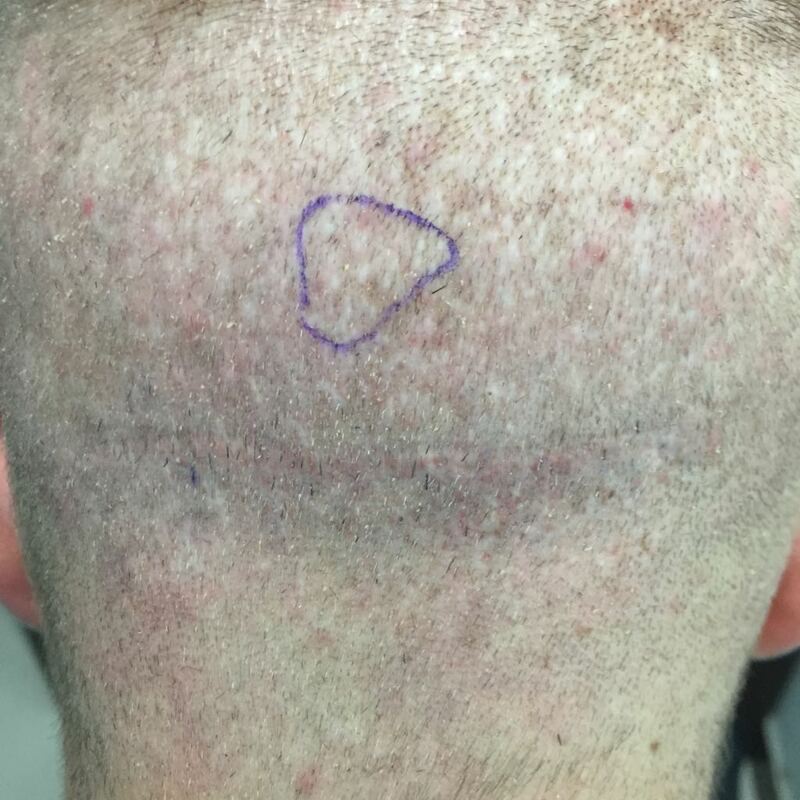 But the growth phase will be as of original site and so needs to cut the grafts with time as they grow faster than the actual eyebrow grafts. **Another REPAIR case qualifies for worst of the worst case …we are getting multiple such cases every week since we started the repair initiative. It is disheartening that such wrong practice is being carried out worldwide… doctors refuse comprehensive training and in a lust for money just join any organization and learn from youtube. 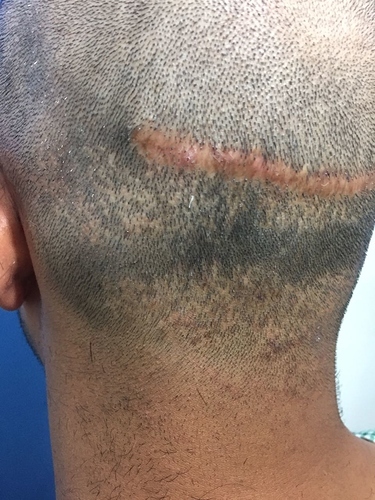 Large post-operative scars and depleted SCALP DONOR (that is the worst loss - you can not transplant anyone else’s hair). Doctors doing blind FUE and aggressively harvesting the donor area leaving patients with no options but to wear a wig. 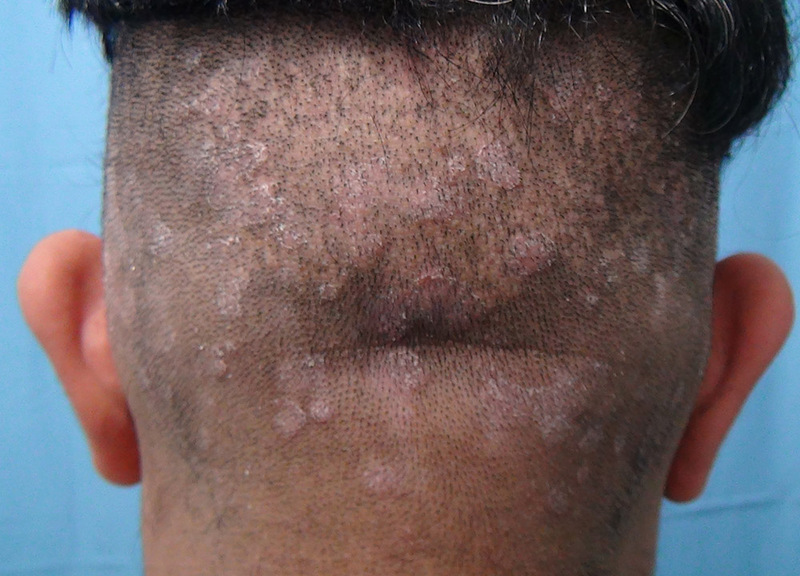 This is a serious issue which is spreading a negative/ bad impression about good Hair Transplants. Clear pictures speak for themselves. 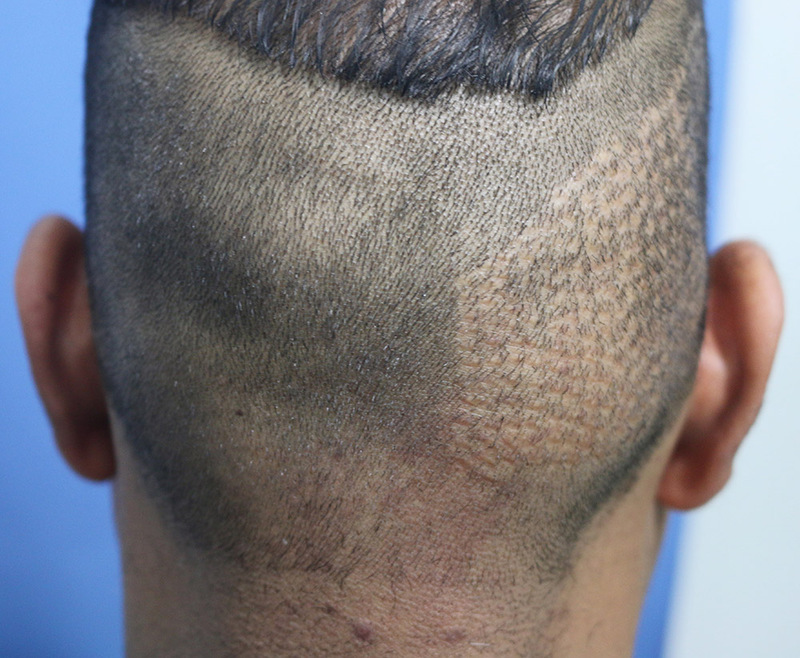 This patient underwent fue and strip at some other clinic (500 grafts free for anyone who guesses which clinic chain did this). Now all he got can be seen in the pictures below - ZERO results and has to live a life wearing a wig. I can only see the bad photos but where are the photos after repair? Please remember it takes time to repair. More pictures and history of this patient to follow (again operated upon by a so called top rung ht doctor …if you wish my staff can get you in touch with him).